Thank you. Last month, 213 farmers and consumers joined NYFC. This growth topped off an incredible year: a dozen new chapters formed, we rallied nearly a thousand farmers and consumers to tell the FDA that organic and diversified farms produce the safest food (more on that below!) and we started to move innovative land access strategies that will help new farmers find affordable land. Our coalition has a lot to be proud of! 2014, we build on this work. We will: ramp up our fight for affordable land access; press FDA and USDA for programs that serve organic and diversified farmers; help farmers in the West address immediate water scarcity challenges through peer-to-peer sharing; expand our farmer technical support resources; continue to grow NYFC’s network of new farmers and supportive consumers (come find us at your local winter farming conference!) and find new ways to leverage the strength of our community for its collective success. Yes! Let’s get going. We’re kicking off the new year with a new resource for young farmer organizing – the Organizing Handbook: How to Bring Local Farmers Together for Shared Success! NYFC is proud to work with farmers around the country to organize for change in Washington while also organizing for success in every town across America. This year, we want to work even more with you to build your local young farmer community. That’s why we’re excited to release our new organizing handbook, designed to provide you the resources and ideas to organize your own NYFC chapter. Click here to read more and download the free guide. The Farmer Land Access Campaign Manager is a full-time position responsible for acting on the recommendations from NYFC’s 2013 Land Trusts report. The Campaign manager will be responsible for organizing national trainings for land trust professionals, coordinating with a coalition of ally organizations, developing a guidebook for farmers, among other duties. The Western Project Coordinator will work with the NYFC Western Organizer to manage the coalition’s Agricultural Water Conservation Education and Outreach project through January 2015. The project’s goal is to help share best practices for water efficiency and conservation among western farmers. Applications are due by January 22nd. Back in October, we rallied to influence the FDA’s proposed new food safety laws during our National Day of Action to Save Local Farms—and our voices were heard! An incredible 70 letter-writing parties were hosted by NYFC volunteers across the country, generating nearly 1,000 comments out of the 18,582 total submitted. Because you spoke out, the FDA decided that “significant changes will be needed” on the points that concerned us most, including prohibitive water testing requirements, compost standards and qualified exemptions. A new set of revisions in those areas will be released later this year. We’ll be analyzing the new rules and letting you know how to keep making a real difference. Stay tuned! This winter, our friends at Farm Commons are offering free webinars on legal issues for farmers who market their product directly to consumers. The six-part course began this week and continues through March – sign up for one or all. Topics include employment questions, value-added production, food safety and more. This is a great opportunity to learn the law from an expert and have the chance to ask specific questions. All webinars will also be recorded for those who can’t make the scheduled times. Click here for more information. This spring we’ll be highlighting a few of the many young western farmers doing things differently with their water. We’re looking for leaders who are implementing high-efficiency irrigation practices and technology, developing soil health, and utilizing systems thinking. Do you or a farmer or rancher you know in the arid West have a dynamic water story you want to tell? Email kate@youngfarmers.org to find out more. Harvesting at Prarie Drifter Farm in Litchfield, MN – just one of many job opportunities! Field Manager for Foggy River Farm, a Sonoma County-based CSA Farm. Seeking Two Seasonal Farm Workers at Prairie Drifter Farm, a certified organic vegetable operation in Litchfield, MN. Director at Baja Arizona Sustainable Agriculture, based in Cochise County or Tucson, AZ. Farm Manager for Rosy Tomorrows Heritage Farm, a transitional organic farm focused on raising heritage grass-fed cows, pastured pigs and free-range poultry. This winter, we’re making the rounds! We wish we could visit all the farms in the NYFC network and say hello. Instead, we’re doing the next best thing – spending the winter tabling and representing the beginning farmer movement at as many farming conferences as we can. Planning on coming out to one? Make sure to stop by – we’d love to meet face-to-face! Join your fellow Michigan farmers for the Michigan Family Farms Conference: Family Farming: Growing Toward a Future. Join young farmers from far and wide for a casual evening of networking, conversing, and libations. Connections are life! At the Royal Street Tavern inside Battle House Hotel, Mobile, Alabama from 8:30PM-10:30PM. Sponsored by the TXYFC, The Greenhorns, SSAWG, Kiva Zip. Meet at 6pm at the Little Lake Grange Hall 291 School St, Willits, CA. Young Farmer Mixer will be held the 2nd night of Ecofarm Conference. Join us to discuss top priorities for young farmers and enjoy local libations, networking, and musical merriment. Co-hosted by NYFC, Ecological Farming Association, CA Farm Link, Greenhorns, Worldwide Opportunities on Organic Farms, The Center for Agroecology and Sustainable Food Systems, and California Certified Organic Farmers. Celebrating 2013: Break out sessions, Issues from the Farm, Issues from the Plate, Board Nominations. 8am – 4:30pm at the Kentucky State University Research and Demonstration Farm. Meet at 6pm at the Sonoma Valley Grange Hall, 18627 California 12, Sonoma, CA. Located at the Grand Traverse Resort, the conference features a trade show with over 80 vendors and over 25 educational sessions. This intensive course, geared toward diversified horticultural farmers, will help you understand what factors impact profitability and food safety. Speakers and exercises will walk you through the steps for improving farm profits, efficiency and quality of your produce. Meet at 6:30pm at N-Street Co-op 716 N Street, Davis, CA. 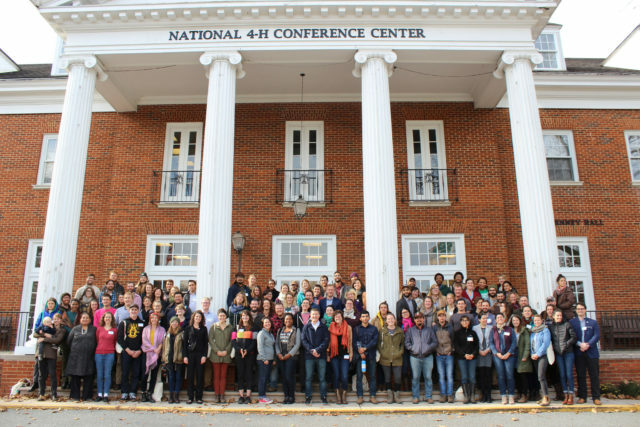 A conference dedicated to making Lansing’s food system more self-sustaining and equitable. Young Farmer Mixer held the 2nd night of the New Mexico Organic Farming Conference. Come meet-and-greet with fellow young farmers from the Southwest! Co-hosted by NYFC and affiliate chapter Rio Grande Farmers Coalition. Build Your Network, Grow Our Future – A networking event to strengthen Connecticut’s agricultural community. Find more information at the New CT Farmers Alliance website.